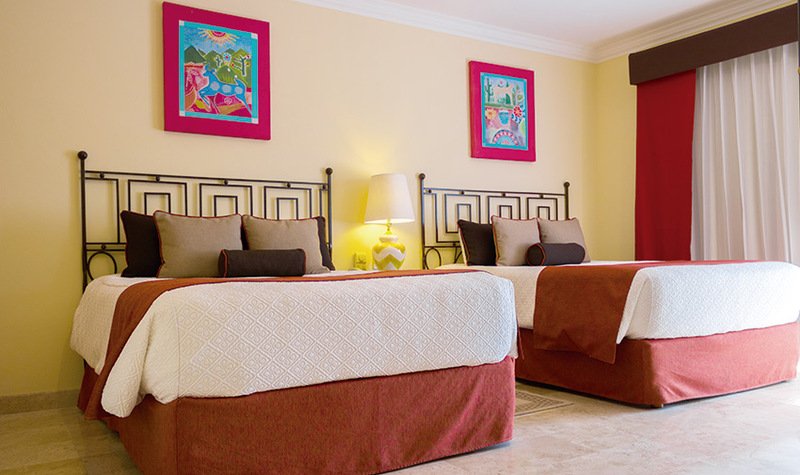 The sleek, contemporary Two Bedroom Suite at Villa del Palmar Flamingos Riviera Nayarit features a master bedroom with a king-size bed, a large second bedroom with two queen-size beds, and a living area with a Murphy bed. It has 3 full bathrooms, one with a bathtub/shower, and another with a jetted tub. 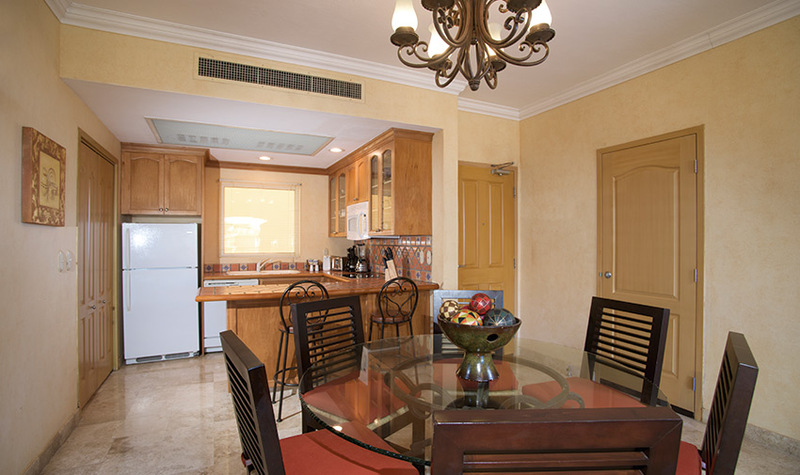 In addition, there is a fully equipped kitchen, dining area for 6, washer/dryer, and terrace with furniture for enjoying the spectacular garden or ocean views. 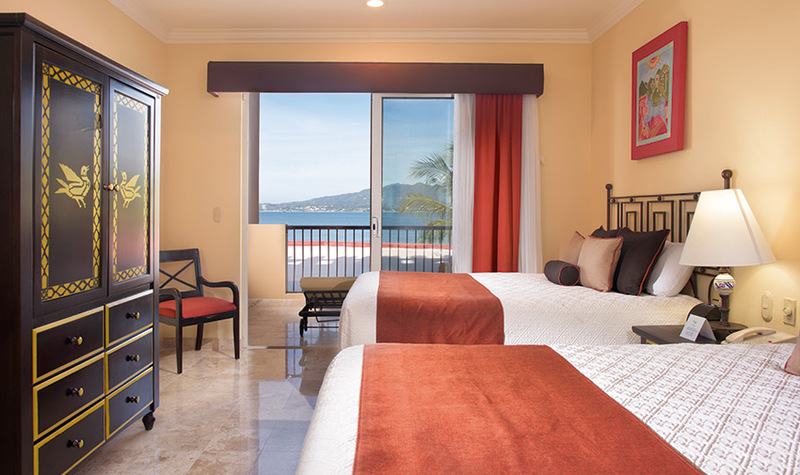 If you are traveling with a large family, a small group of friends, or simply want to feel at home, the two bedroom suite at this Nuevo Vallarta all inclusive resort is just for you! 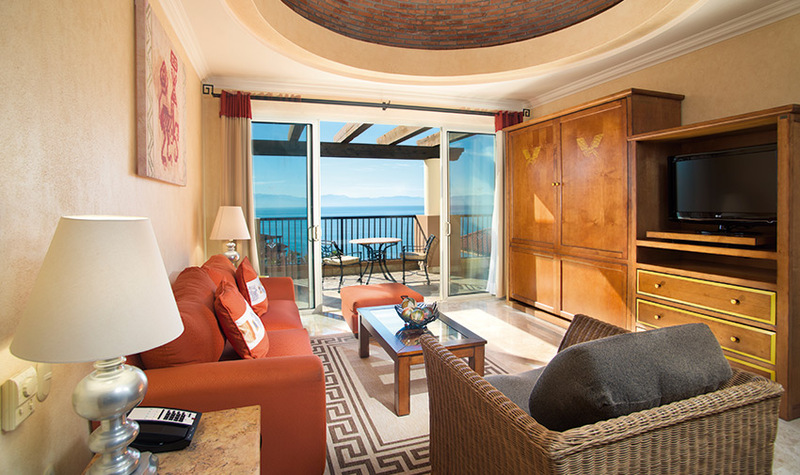 We have been coming to this resort for 12 years and are never disappointed. This time we had two-two bedroom units and there were 8 people traveling in our group. We all had a wonderful time.